Whether you’re looking to use your miles to see Mickey Mouse or you’re just wondering what taxes you can pay now to be ahead next year, this Frequent Miler Week in Review around the web has something for you. This week, we’ve also got a fun quick turnaround trip to turn miles into a memorable holiday moment and more below. Read on and click to read more. Never underestimate the drawing power of an imaginary rodent. Over dinner last night, my wife and I were already discussing how old our son will have to be for his first trip to Disney. Neither of us went to a Disney park before we were adults, and our sole experience as adults has been one day at Magic Kingdom about 10 years ago. My lack of Disney magic experience led me to read this post from The Deal Mommy with great interest, as we’re already looking ahead to a probably 2019 trip to Disney….though I did book tickets to Los Angeles next summer through Virgin Atlantic, so maybe we’ll be pushing a stroller through Disneyland after all! Noteworthy within this post is The Deal Mommy’s link to a post she did earlier this year that I had missed about the Barclaycard Travel Community — a post I’ve bookmarked to revisit. Are you Prepaying Taxes and Deductions before the new Tax Law Goes into Effect on January 1st? 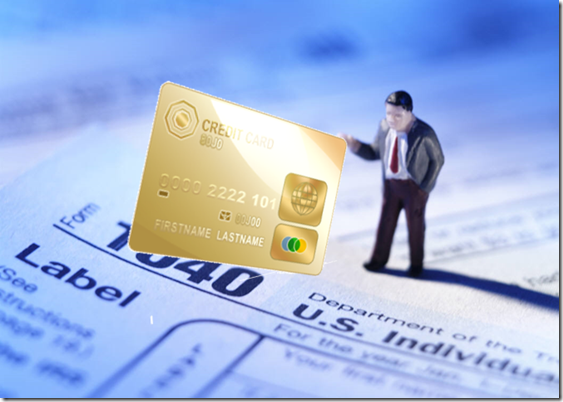 If you’re one of the millions of Americans trying to decide what makes sense in terms of prepaying your 2017 taxes (because, ya know, you can earn miles doing that), this informative post from Chuck at Doctor of Credit could be a handy resource. Don’t forget to see the comments for continued discussion on the topic — and don’t forget to consult your tax professional for advice if you use one. One of my favorite things about getting into miles and points has been the ability to gift some experiences to family members that they probably wouldn’t otherwise consider. Dan Miller and Points with a Crew took part of his crew on an awesome Christmas present trip that made me chuckle and smile — both because I love the idea of doing something like this and because I know my better half would never get on a plane for this quick of a turnaround (even for Harry Potter — and that’s saying something). But it was fun to live vicariously through Dan for a minute! Do you remember back when Club Carlson was offering credit card holders the last night free on award stays (essentially a BOGO as long as you booked in 2-night increments)? The last of my BOGO reservations is coming up in February in Chile, though I’m sure I’ll have to cancel that stay with my regrets. At the time, I couldn’t believe that you could book through early 2018, so I picked the most random place I could. Since burning those points, I haven’t thought much about Club Carlson — and so I found this look back at Ric Garrido’s year with Club Carlson and was impressed with his results. Clearly, Club Carlson can yield some impressive value if you master the promotions the way he has. Club Carlson is still light on loyalty benefits — but points appear to be plentiful on paid stays if you plan it out right. That’s it for this week around the web — check back soon for this week’s last chance deals. Thanks for the link roundup. I do kind of love Club Carlson myself – I joined after they eliminated 2-for-1 nights, so I didn’t get to experience the bummer of them taking it away. They status-matched me when I joined, and in my experience they’ve been absolutely excellent about both upgrading me and allowing (really) early check-in. Plus, a lot of their hotels are in historically and architecturally interesting buildings, which I love! I kind of wish there were more CC loyalists on the various miles and points blogs.